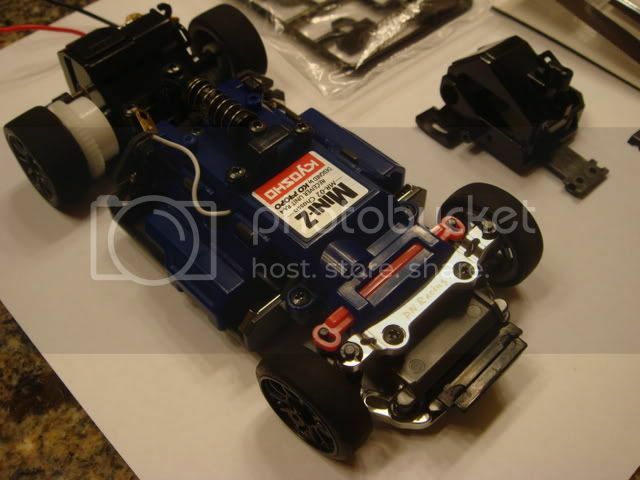 Up for sale is an MR-02 chassis with no electronics or servo assembly. 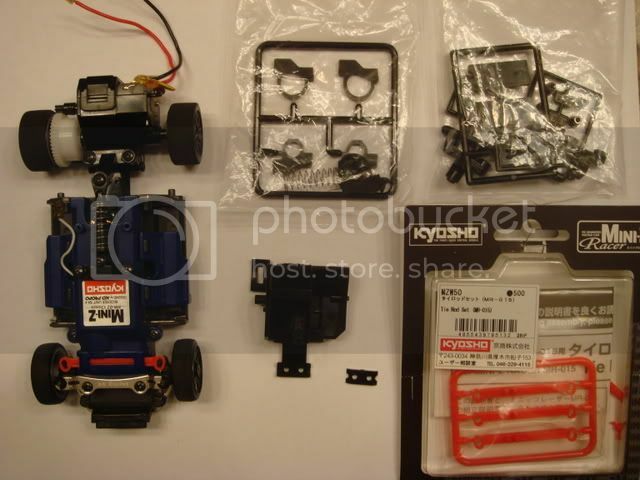 Upgrades include an MR015 front width kit, MR015 tie rod set, and ball bearings. 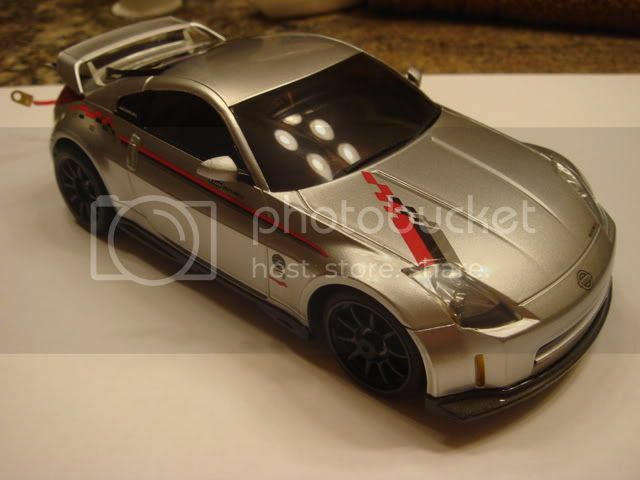 Included is a silver Fairlady Z S-Tune body. 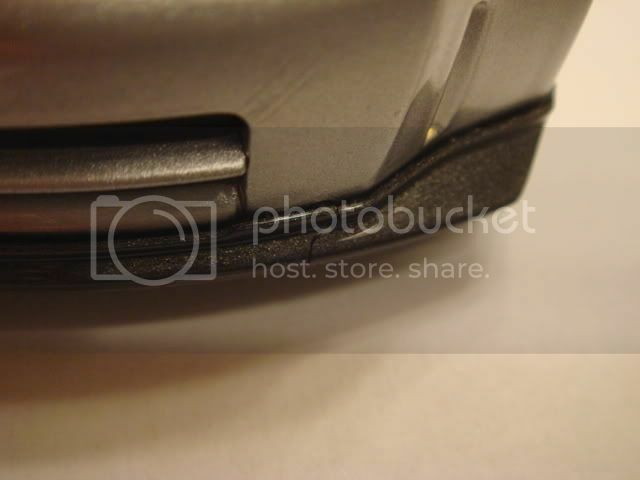 The front lip on the body has a crack in it. Other than that, the body is MINT. The car was driven twice outdoors, and about three times indoors. All it needs is batteries, a board, and servo assembly to get the car running. The chassis is pictured with the electronics in it, because I don't want to go through the trouble of taking them out if no one is interested. Thank you for looking! Feel free to ask any questions. I posted this up one ebay. The starting bid is $45. I lowered the price to $45 + shipping. 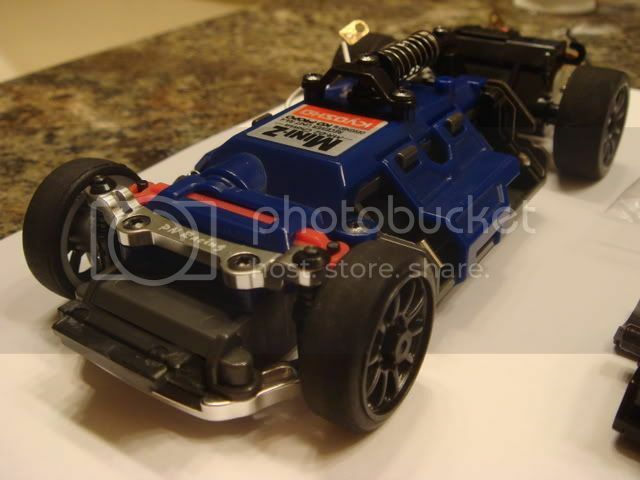 Does it have the servo gears that lead to the steering mechanism? If so I'll take it for $45+shipping if still available. Sorry, it sold on ebay.